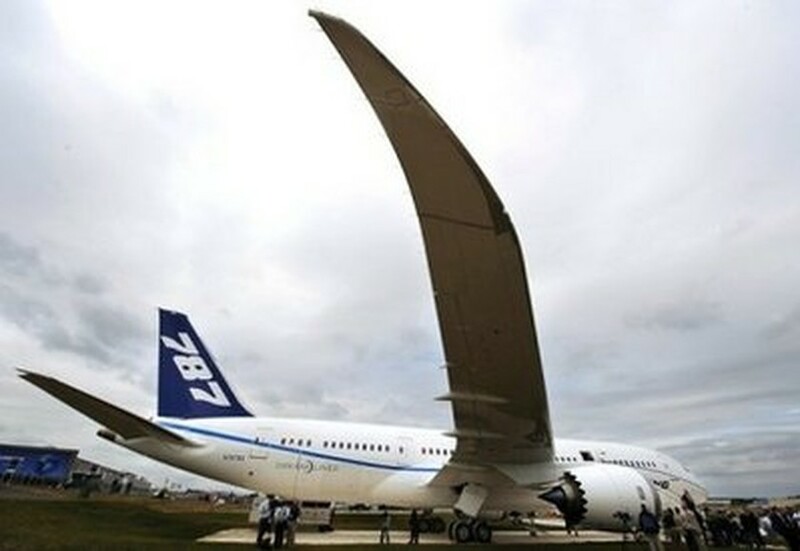 FARNBOROUGH, United Kingdom, July 19, 2010 (AFP) - The Farnborough International Airshow kicks off Monday with Boeing and Airbus hopeful of securing big orders for their planes in the face of rising competition. One of aviation's biggest trade shows is renowned for being an arena for major deal announcements and this year's event is set to follow suit, as airlines in Asia and the Middle East seek to meet growing travel demands. Dubai's Emirates airline will on Monday announce it is ordering more than 30 Boeing long-range 777 jets, only a month after it ordered 32 A380 superjumbo jetliners from Airbus in a record deal, The Wall Street Journal reported. "I think what you're going to find this week is that both Airbus and the Boeing company will be announcing quite a number of orders," the chief executive of Boeing Commercial Airplanes, Jim Albaugh, said on Sunday. "There has been a duopoly here for a number of years," Albaugh told reporters on the eve of the Farnborough show. "We know that's changing, certainly in the single-aisle market place. You've got (plane manufacturers) Comac in China, Embraer in Brazil, Bombardier in Canada, Mitsubishi in Japan and you may have somebody from Russia. "Our assumption is that they will be successful in developing airplanes. The first airplane might not be a great one but by the time they do their second and third one they'll probably have very competitive airplanes in the market. "I think competition makes you better. Again what we're trying to do is to make sure that we have the best value offer in every market that we are in," he added. Boeing has hung its future on its mid-sized 787 Dreamliner -- a fuel-efficient jet which will be on display in Farnborough after making its first flight outside of the United States on Sunday. Airbus is working on a new long-haul plane of its own -- the A350 XWB (Extra Wide Body). Another big project for Airbus is its long-delayed A400M military transport plane, which is set to make a flypast at Farnborough.